Will they become heroes...or monsters?! The Qs Squad once again proves its worth by going undercover to collect vital Ghoul information, allowing the CCG to finally move forward with a massive eradication campaign. But this strike pushes the Qs to their limits, bringing all their weaknesses to the forefront. 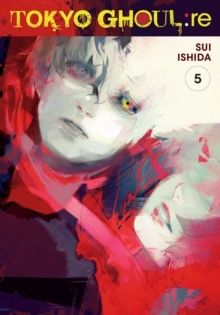 And Haise is the hardest hit when his hidden past rushes forth to impact his future!